Back in the 1970s, the cars on the road were totally different than they are now. In those days, no one used to drive around the cramped old towns of Europe in luxury off-road vehicles (or SUVs – call them what you like) the size of trucks; these vehicles were purchased for their immediate purpose: driving on bad roads. So it's not surprising that the target group for the new Land Rover product in Britain was originally farmers. Yes, they already had the choice of the future legend – the Defender (which at that time was simply called the Land Rover), but the Defender was essentially a tractor with smaller wheels and did not fully meet the needs of larger landowners traveling around their holdings. Land Rover thus came up with an ingenious plan: they would make the utilitarian Defender faster by throwing in a good V8 engine, and more comfortable by replacing the leaf springs with coil springs. 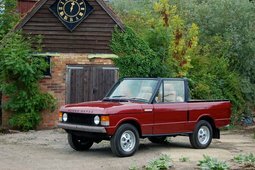 However, the idea that this should be a luxury SUV for dandies wasn't even a remote consideration; the Range Rover was supposed to be a vehicle for wealthy farmers – one with an interior that they could wash out with a hose after driving around with muddy boots. And the most remarkable thing was that they managed to give such a purely functional object a truly excellent appearance. It would later be exhibited at the Louvre and probably all major modern art museums as an example of exemplary industrial design. Before 1970, no one would have ever thought that a square box on wheels could look that good. 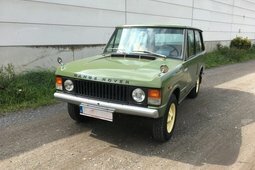 Success did not take long to come, because in 1970 in Europe, Range Rover offered what no other manufacturer had: comfort, off-road capability and speed in a nice outfit. Sales were good from the start, but Land Rover received feedback from the market that there is a need for even more luxury and comfort. And if you don't like all of those big SUVs cramming your city streets, then you should know that the 1970s were precisely when the idea of a big, luxury SUV was born, because Land Rover saw in Europe, and Jeep saw in America, that luxury plus off-road capability equals a product that you can sell for a lot of money. Thus, more and more gadgets gradually made their way into Range Rovers: the rubber floors were replaced with carpeting, and the seats became softer. And where there is luxury – there are beauties. In the 1980s, the Land Rover marketing department came up with an idea that, at first glance, seemed pretty crazy – a co-branding project with Vogue, the fashion magazine. The Vogue was a limited edition model (with a better interior) that was advertised by impeccably dressed girls. The project went so well that later, the Vogue permanently became one of the top-of-the-range factory versions. The 4-door version that we are now used to only came out in 1981, and stayed on the conveyor right up until 1996. 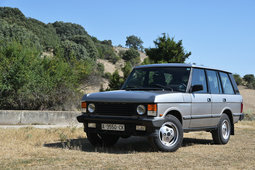 When the new, second-generation Range Rover came out in 1994, the old model was renamed as the Range Rover Classic and was produced for two more years (1994–1996) alongside the new model. 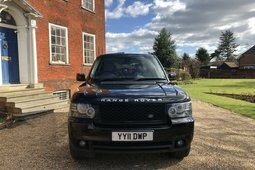 Inside, those 1994–1996 Range Rover Classics were already vehicles of a completely different level compared with 1970 original, and there was already no less luxury than in modern SUVs of this class. However, despite the significant changes inside, the body style and engine passed the test of time wonderfully and remained virtually unchanged over the entire 26 years. 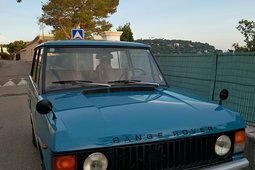 The fact that the Range Rover Classic was produced for 26 years says a lot – in a market economy, a bad car would never survive on the conveyor for that long (although in a non-market economy such as the Soviet bloc, 26 years was certainly not a record). 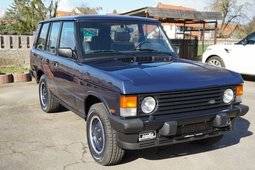 Range Rover Classics in good condition currently cost EUR 30–40,000, and a vehicle in perfect condition can go for as much as EUR 100,000. 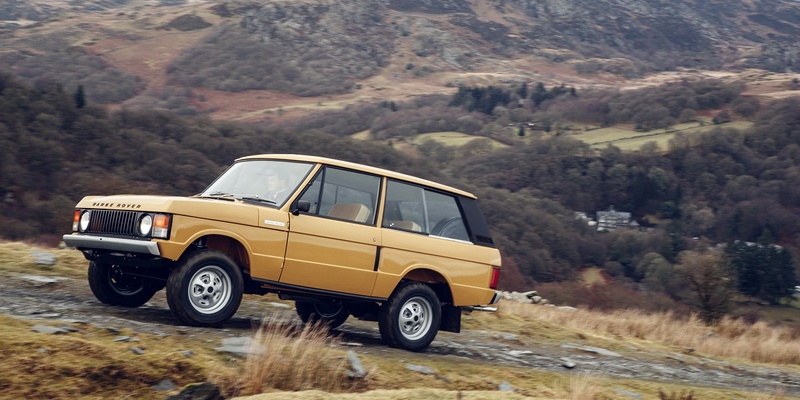 However, this February, Land Rover decided to surprise fans of the brand in a way that manufacturers very rarely do – Land Rover will be selling Land Rover Classics that they have restored themselves, and their condition will be like new (or perhaps even better). This news was officially announced at the Parisian Salon Rétromobile show in February. This year they plan on releasing 10 of these cars, restoring them with absolute precision by sourcing appropriate "donors". 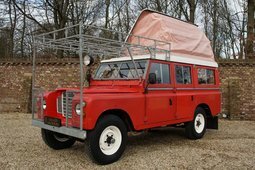 Each of them will be fully restored according to the 1970s manufacturer specifications and using Land Rover Classic Parts to maintain complete authenticity. The example in this year's official pictures was created on a 1978 Bahama Gold vehicle with a 3,528cc, 132bhp V8 and a four-speed manual transmission. Given, things like this simply cannot be cheap, so the Land Rover Classic division will price its work at £135,000 and up. However, this amount is probably fair, since after all, it's 2017 now, and you can get a brand new Range Rover Classic directly from the manufacturer. How cool is that?